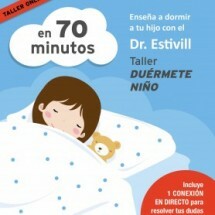 A New Online workshop about "Duérmete Niño", "Sleep, My Baby"
The Foundation has been giving scientific support to the development of Smartson mattresses (https://www.facebook.com/smartsonbarcelona/) for babies. This kind of a mattress is ideal for taking care of the health and the cranial and spinal column development of babies. Finally, with the highest qualities of materials, it goes on sale in Andorra. We attended this presentation.